There are many classic looks out there; however, I don’t think there will ever be anything more classic than pearls! I mean–come on…Marilyn Monroe wore them, and ZZ Top sang about them, so they’re a shoe-in for a must-have accessory! 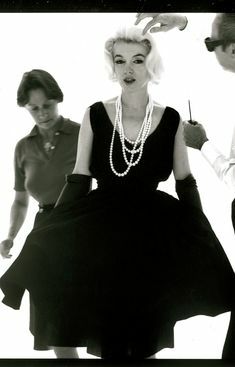 So, for this week’s Three Ways to Wear, I want to throw it back to show y’all 3 Ways to Wear pearls–aside from the normal, boring, one-strand look *wink* So, without further ado, let’s jam out to some ZZ Top as we embrace our inner Marilyn Monroe for this week’s fabulous TWTWT!